Material: 85% Cotton, 13% Polyester, 2% Spandex. Lovely jeans from PIECES. 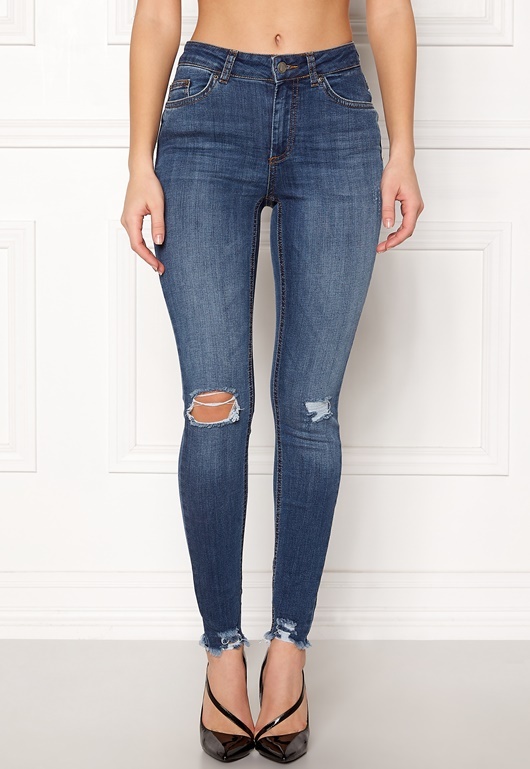 The jeans have stylish wash and rip effects. - Mid waist - Zipper and button fly - Classic 5-pocket design - Ripped and raw hems at ankles Inside leg 71 cm, front rise 22 cm, waist 62 cm in size S. The model is 171 cm tall and wears a size S. Machine wash at 30 degrees.